Medium: Pencil and opaque watercolor on paper. Dimensions: 11 1/2 x 7 in. (29.2 x 17.8 cm). Kept in Brooklyn Museum, New York City, NY, USA. 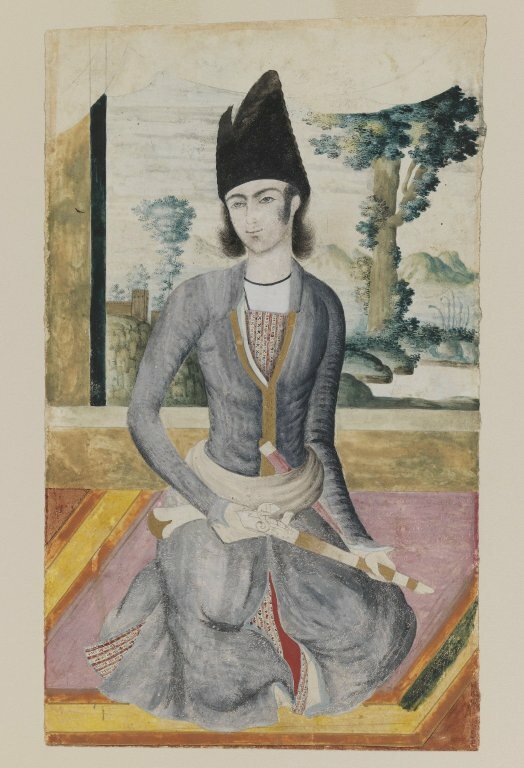 This is a portrait of a seated Qajar Prince holding a pistol. It is on the display in Brooklyn museum. It also has a landscape behind the man.